VIFF 2017—Greek filmmaker Yorgos Lanthimos has crafted another psychologically chilling yet dryly comical allegory of human sacrifice in his second English-language feature, The Killing of a Sacred Deer. The terrifying tale encapsulating familial duty and suffering is a provocatively twisted film of total cinematic precision. 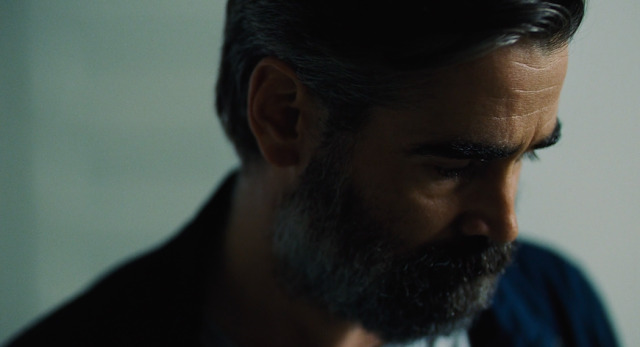 Colin Farrell provides another stoic, dryly deadpan performance with bursts of strange anger as a troubled cardiologist and family man. It's a stellar portrayal and fine extension of his work in The Lobster. His surgeon character mirrors ideals of God, the creator, power, and unfettered narcissism wrapped in conventional suburban malaise. A somewhat broken Nicole Kidman delivers a finely tuned performance of reserved frustration and motherly determination. The film doesn't work without her manic but assured performance contrasting Farrell's masculine desperation. She proves herself just as game to indulge the bizarre happenings of the family's escalating turmoil superbly. A sociopathic Barry Keoghan is the standout as a strangely peculiar, creepy teenage boy, Martin, who shares an unusual bond to Farrel's Steven before turning to coldly terrorizing him. His odd directness and deadpan politeness slowly reveal a sinister situation that bursts with absurd tension. Raffey Cassidy is also a highlight with a charismatic yet unnerving portrait of a teenage girl who develops a strange fascination with Keoghan's off-putting Martin unraveling some very troubling gender dynamics. 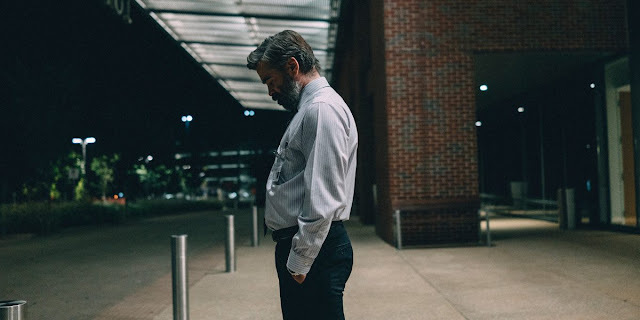 Written by Efthymis Filippou, Lanthimos, and inspired by the Greek myth Iphigenia, The Killing of a Sacred Deer zigs and zags in coldly illuminating ways. Framed in static wide shots and off-centre closeups with a great understated style from British cinematographer Thimios Bakatakis. Lanthimos has delivered another coldly divisive film of many haunting themes including sacrifice and vengeance. Structured like a game or nightmare, it's easy to marvel and be turned off by then machinations of the destruction of Steven's idyllic family as a result of one mistake. It's a real piece of work. The Killing of a Sacred Deer screened at the 2017 Vancouver International Film Festival as part of the Panorama stream.